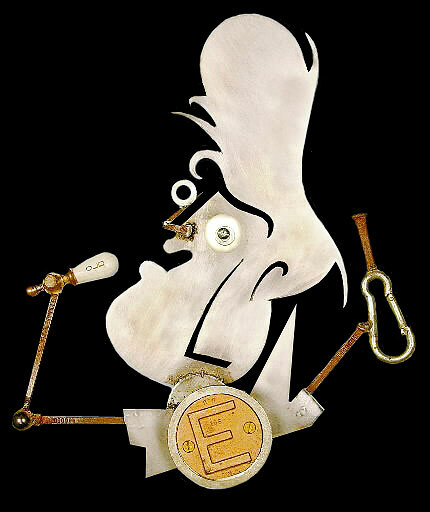 I created this metal Elvis wall sculpture a couple years ago. It ran with newspaper story on Elvis turning 70. Today, it hangs on the wall in my shop. The big 'E' is from an old gas pump. Parts of his arms and nose are vintage handmade nails. The microphone is from a antique faucet. It is all put together with welds and bolts.